Two years ago, I wrote a piece on Anne Royall, a worthy subject if I ever had one. A strong 19th century female who was not only involved in an urban legend, but lived on the Hill, was tried and convicted of being “a common scold” at that time, and ended up being buried in Congressional Cemetery? Frankly, the two pieces on her pretty much wrote themselves. Where it started to get tricky was when I started looking for pictures to illustrate the story. This is a not uncommon occurrence for me. Sometimes, the picture is an integral part of the story; often, some vista presents itself. Other times, there is nothing remotely related to the story that makes sense. I became ever more frustrated at my inability to find a picture of Ms. Royall. In the end, I became pretty convinced that no such thing existed, so, with my deadline looming over me, instead of decorating my piece with another picture of some dead old white man, I decided to use something else. 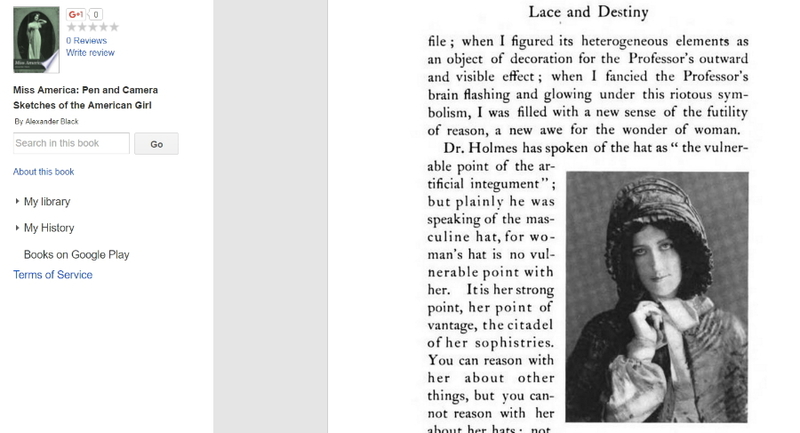 Since Royall had been described as wearing a “Calash,” I had searched around to find out what that is –some kind of head shawl– and ended up using a picture of some woman wearing such a thing with my article that I had turned up in my research. Earlier this year, I got an email from a photo researcher wondering if that was, actually, Ms. Royall. I responded with a resounding “no” and even sent a screenshot of the page of the book from where I’d originally purloined it. Imagine my surprise when I saw an article about Royall in Smithsonian Magazine that used “my” picture to illustrate it– with the statement that this was, in fact, Royall. I also recently got tagged in a tweet by a guy who has been researching it, who pointed out that the cover of the book that recently came out (written by the same author as the Smithsonian article) uses, on the front cover:“my” picture. I am not happy about my misleading work leading to such a massive error. In fact, had already changed my m.o. when it came to pictures, always indicating with “(pic)” the identity of the small thumbnail that resides at the top left of my pieces. So, for instance, in this case, since I do not have a picture of Royall, I am going to use a picture of Adelaide Johnson (pic), another fascinating woman buried at Congressional Cemetery. What worries me a bit is that, if you google image search Anne Royall, not only does “my” picture show up numerous times, there is another picture that I would bet good money is not her that appears. In short, be careful out there and see that you do not, advertently or inadvertently, let loose another falsehood. In any event, I am going to try to live by the immortal words of Elvis Costello, “I used to be disgusted / And now I try to be amused.” And therefore write this article and be done with it.